Susanna Barkataki, M.Ed. 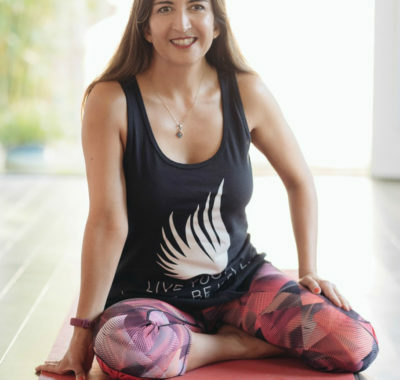 Ayurvedic Wellness Counselor, E-RYT 500, C-IAYT, member of Thich Nhat Hanh’s Core Community of Interbeing, is passionate about sharing yoga for everyone, practicing yoga not just as poses but as a way of life. Susanna’s is from Assam, India, where an ancient lineage of teaching the traditions of Yoga and Ayurveda are practiced still today. Susanna integrates this lineage with the practical application of a Master’s degree in Education as well as a B.A. in Philosophy for U.C. Berkeley to create a socially relevant practice. She is the Founder and Director of Education at Ignite | Yoga and Wellness Institute in Orlando, Fl. Ignite provides comprehensive Yoga Alliance Certified 200 and 300 hour yoga teacher trainings, Women’s Leadership and a Health Coach Certification. She is viral yoga and wellness blogger for many online wellness publications. Known for taking yoga off the mat she shares tidbits from a culture of yoga to help us feel good and live yoga through our daily lives.